The village of Zamami-son in the western Kerama Islands spans four of the islands in the group, one of which remains uninhabited. The hilly islands represent a snorkeling and diving haven, boasting wildlife-rich reefs and scenic coral-sand beaches. 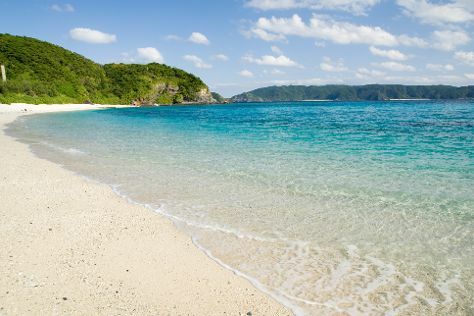 Besides diving and lounging on the beach, things to do in Zamami-son include hiking or exploring the islands' secluded beaches via bicycle, fishing, or kayaking. While attractions on the islands remain scarce, you can find a number of restaurants with tasty dishes, lively bars, and grocery stores for all your basic shopping needs. Zamami-son is in Shimajiri-gun. Add Zamami-son and other destinations to your itinerary using our Japan road trip app , and learn about what to see, what to do, and where to stay.